Chris Stapleton fans, we’ve got some exciting news for you!! The massive country, blues and bluegrass star is bringing his latest top 5-charting album on the Chris Stapleton’s All-American Road Show tour!! 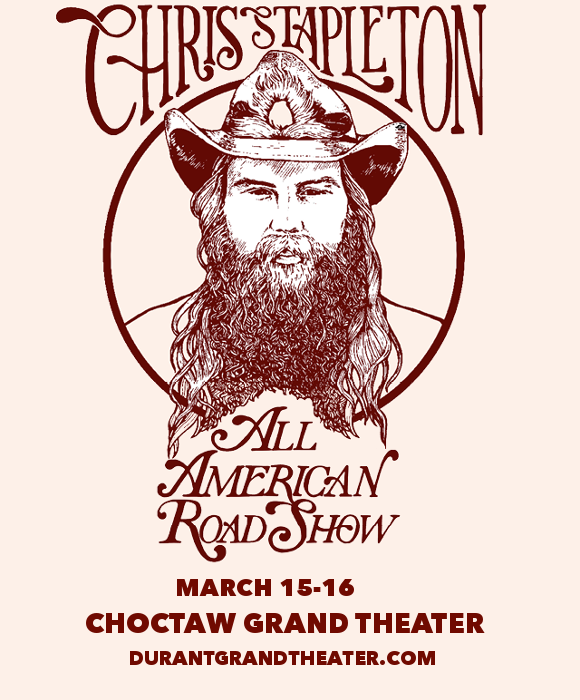 Coming to the Choctaw Grand Theater on Saturday 16th March 2019 – don’t miss it! TIckets expected to sell FAST so grab yours while they last!! Genuine is one thing Chris Stapleton has always been. Get ready to experience that pure music live – get your tickets to see Chris Stapleton today! !